On December 1, the U.S. Fund for UNICEF hosted its 11th annual UNICEF Snowflake Ball at Cipriani Wall Street, celebrating UNICEF’s lifesaving work for children around the world. 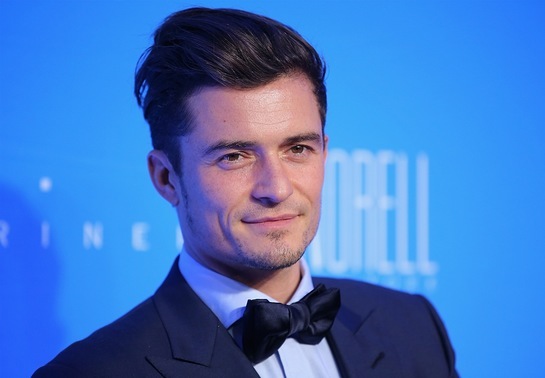 The gala honored actor and UNICEF Goodwill Ambassador Orlando Bloom, HSNi CEO and U.S. Fund for UNICEF National Board Vice Chair Mindy Grossman, and U.S. Fund for UNICEF Chief Financial and Operating Officer Edward G. Lloyd. Presented by Mariner Investment Group, LLC and Norell Parfums New York with generous support from Baccarat, the black-tie event raised over $3.4 million dollars for UNICEF’s work to put children first. The evening featured a performance by GRAMMY Award-winning recording artist and newly announced UNICEF Ambassador P!nk, and was hosted by Debi Mazar. The UNICEF Snowflake, which hangs each year at the intersection of 57th Street and Fifth Avenue as a beacon of hope, peace and compassion for vulnerable children around the world, was lit to mark the festivities. Since the UNICEF Snowflake Ball began 11 years ago, the event has raised over $27 million. UNICEF Goodwill Ambassador Liam Neeson and UNICEF Ambassador Tea Leoni were in attendance, along with Katie Couric, Tim Daly, Patina Miller, Kuoth Wiel, Naeem Khan, Padma Lakshmi, Michelle Monaghan, Brooke Burke-Charvet and David Charvet, among others. Orlando Bloom was presented with the Audrey Hepburn Humanitarian Award, an award given annually by the Audrey Hepburn Children’s Fund, for his tireless work to improve the lives of children around the globe. In September, Bloom travelled to Serbia and the former Yugoslav Republic of Macedonia to raise awareness of the growing refugee and migrant crisis. He also went to Liberia in March to witness UNICEF’s efforts to combat the deadly Ebola virus, and to Jordan last April to visit Syrian refugee children and families fleeing from the conflict in Syria. In addition, he has travelled with UNICEF to South Africa, Russia and Nepal, and filmed a PSA to help raise funds for children affected by the recent Nepal earthquake. CEO of HSNi and Vice Chair of the National Board of the U.S. Fund for UNICEF Mindy Grossman was honored with the Spirit of Compassion Award for her commitment to children and community service. A member of the national board of the U.S. Fund for UNICEF since 2012, Grossman has travelled to Senegal and Guatemala to visit UNICEF nutrition, protection and education programs. 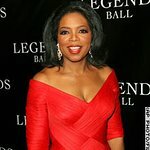 She also launched the HSNi Cares partnership with the U.S. Fund for UNICEF in 2010, which has raised more than $2 million to support the organization. “I am truly honored and humbled to receive the Spirit of Compassion Award,” said Grossman. "HSNi Cares is committed to supporting children and families in need, locally, nationally and globally. We are so proud to support UNICEF’s work for kids and I am even more proud to serve as Vice-Chairman of the U.S Fund. To work with people who commit their lives to the mission of “children first” has been an honor. It was profound and enlightening to visit Senegal with my daughter and to be able to experience UNICEF’s incredible work first-hand." Chief Financial Officer and Chief Operating Officer of the U.S. Fund for UNICEF Edward G. Lloyd was recognized with the Helenka Pantaleoni Humanitarian Award for his unwavering commitment to children. Lloyd joined the U.S. Fund for UNICEF in 2001 and has served as Chief Operating Officer and Chief Financial Officer since 2012. He has travelled extensively with UNICEF to Haiti, Brazil, Ghana, India and Morocco. He has also been instrumental in building the Bridge Fund, an innovative financial tool created by the U.S. Fund for UNICEF to speed the delivery of lifesaving supplies and assistance to children in need around the world during times of emergency. UNICEF Ambassador Vern Yip and Rafanelli Events designed the décor for this year’s UNICEF Snowflake Ball, underwritten by décor sponsor Scripps Networks Interactive. The evening’s décor had a wintery theme and guests were reminded of the children who benefit from UNICEF’s lifesaving work through the images of children printed on custom chair covers. A ceiling installation made of layered voile panels mimicked a winter sky and abstract snowflake centrepieces echoed the invitation’s snowflake design. Guests dined on a custom menu designed by chefs UNICEF Ambassador Marcus Samuelsson, Amanda Cohen, and Jessica Weiss. A live auction hosted by auctioneer CK Swett featured VIP packages including a truly unique experience at z100’s Jingle Ball with a meet and greet with UNICEF Ambassador Selena Gomez, a luxury suite at a Janet Jackson concert at Barclays Center, and a Milan Fashion Week package to view several shows. The production was made possible by Scott Mauro Entertainment and Star Group Productions. Moll Anderson and Gillian Miniter co-chaired the event with Nell Diamond, Jenna Bush Hager and Jaime Jiménez serving as the After-Party Chairs.